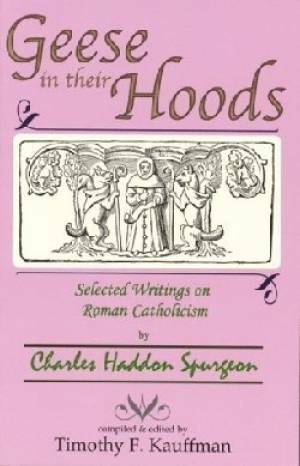 Geese in Their Hoods is a collection of Spurgeon's writings on Roman Catholicism beginning with several autobiographical accounts of his travels. This selective work gives you an insight to this 19th century Baptist's perspective on this subject. Geese In Their Hoods by Charles Haddon Spurgeon was published by PILGRIM PUBLICATIONS in March 2005 and is our 65300th best seller. The ISBN for Geese In Their Hoods is 9780963714176. Be the first to review Geese In Their Hoods! Got a question? No problem! Just click here to ask us about Geese In Their Hoods.